Remove DRM from Apple Music tracks. Convert DRM-ed M4P music to plain MP3, M4A, FLAC, M4B or WAV. Remove DRM from iTunes and Audible Audiobooks. 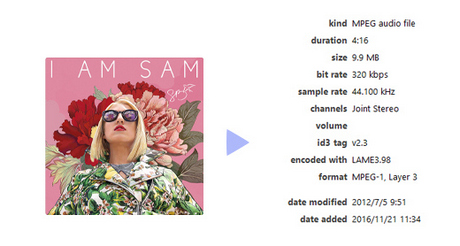 Convert at 10X faster speed with lossless quality. Support the Windows 10 Store version of iTunes. Note:This program is for personal use only. This all-in-one iTunes audio converter can remove DRM from Apple Music files, iTunes & Audible DRM-ed audiobooks and iTunes M4P audio. You can easily convert Apple Music files, M4A, M4B, AA, AAX audiobooks and M4P music files to plain MP3, M4A, FLAC, M4B and WAV formats. What's more, you can convert a 4 minutes audio file to MP3 within 10 seconds. With such high conversion speed, you may worry about the conversion audio quality. 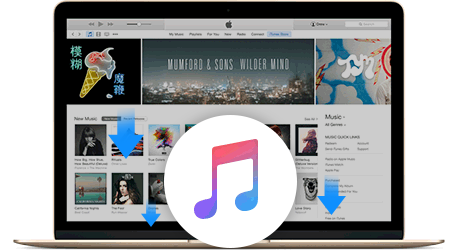 Take it easy, iTunes DRM Audio Converter can keep lossless output quality. Note: To download Spotify music as MP3, AAC or WAV, please seek help from Sidify Music Converter. Convert downloaded Apple Music files to MP3/M4A for playing offline on your iPhone, iPad, MP3 Player or other portable devices. Convert iTunes DRM-ed M4A, M4B audiobooks and Audible AA, AAX audiobooks to plain MP3, M4A, FLAC, M4B or WAV. 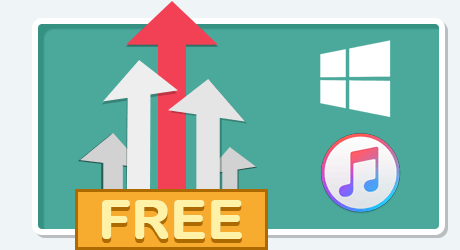 Convert both DRM-ed and DRM-free M4P, MP3 and more audio files to plain MP3, FLAC, M4A or WAV. Note: To extract MP3, M4A or WAV audio form iTunes M4V videos, you can try iTunes M4V Converter Plus. iTunes DRM Audio Converter allows you convert music files with super high speed at the same time keeping lossless quality. iTunes DRM Audio Converter will mute iTunes while converting to play the DRM-ed music tracks silently in the background and record audio files at 10X faster speed. What's more, it can convert multiple audio files in batch to MP3 Audio, M4A Audio, FLAC Audio, M4B Audio and WAV Audio. 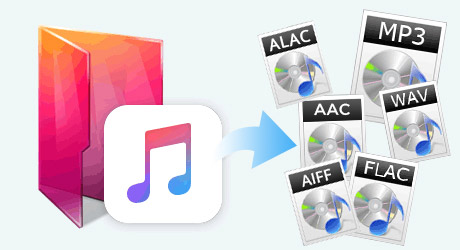 iTunes DRM Audio Converter enables you to customize output format, output quality and output path. Output format as MP3, M4A, FLAC, WAV or M4B are available to choose. 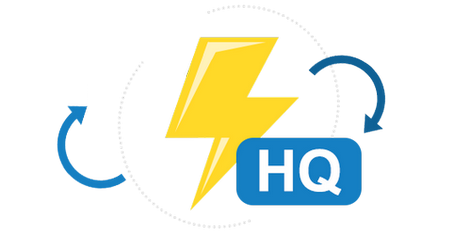 Output quality as maximum 320 kbps is there to choose. 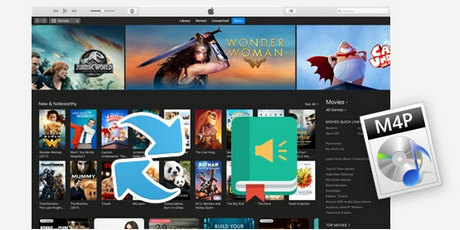 With this powerful iTunes audio converter, you are able to enjoy your DRM-ed songs or audiobooks without any limitation. Besides, you can keep the converted audio files into Album / Artist folders by checking the "Keep output folder organized". With a concise and simple program interface, you can convert Apple Music files, audiobooks and other audio files within a few clicks. And the output audio files can convert to MP3, M4A or M4B formats with ID tags kept, such as title, cover, artist, album, year, track number and genre. Unlike other audio converter in the market, there is no extra hardware or virtual drive needed. The program will decode the iTunes audio to MP3, M4A, WAV, FLAC or M4B while recording. We promise that we will always update our program to keep up to date with the latest version of iTunes and Windows OS. Most powerful Windows DRM removal to remove DRM legally from iTunes rentals & purchases. Convert DRM-ed M4V to MP4, MOV, AVI, FLV, MP3 and more with all audio tracks, subtitles, AC3 dolby 5.1 audio and audio descriptions kept. A well-designed audio converter for Windows users to convert any audio which can be played in Spotify to MP3, WAV, FLAC or AAC format with 5X faster speed and good output quality. All ID tags are kept after conversion.